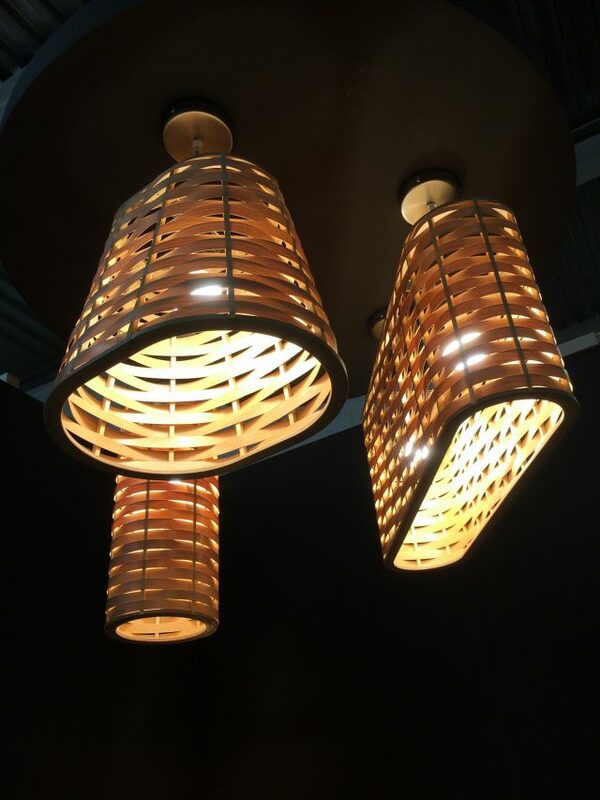 Having added a few new models to our Lightweave collection recently we now have 12 different forms to choose from in this range with many sizes and veneer types also available. The ‘Bell’ and ‘Lozenge’ forms are very suitable for use over counters in bars and restaurants where perhaps horizontal format shades work best. ‘Lozenge’ can accomodate several light sources in one shade depending on the size ordered. The various models can of course be randomly selected just like in the photo and grouped together to give a more eclectic style. They would equally work well at different heights over a staircase or large foyer area. Why not contact us today to find out what could work best for your project.